As we welcome the new year, it’s a great time to reflect on last year’s accomplishments. I’m proud of what Ohio’s education system achieved in 2018 and excited for 2019! Perhaps the best place to start is with an amazing undertaking that brought our state and local education systems together to set the direction for our future. Ohio’s new strategic plan for education, titled Each Child, Our Future, reflects the honest analysis and best thinking of Ohio Department of Education leaders, the State Board of Education, 120 Ohio-based organizations with direct interests in education, and 1,200 local teachers, administrators, community members, business leaders, parents and state lawmakers. The five-year plan will enable our education system to organize its work around three core principles and 10 shared strategies that can ensure a high-quality educational experience for all children, promote equity and high-performing schools, and nurture the physical, social, emotional and intellectual child in each of our students. Each Child, Our Future can put us on a pathway to our goal: increasing annually the percentage of Ohio high school graduates who are experiencing education or career success one year after commencement. We have so many great teachers in Ohio, we wanted a way to honor and thank more of them. In 2018, the Department launched its #OhioLovesTeachers campaign to promote appreciation and recognition for our first-line educators. We asked people to share their favorite stories about teachers or teacher teams they admire on Twitter and Instagram, then shared our favorites on the Department’s social media channels. Teacher of the Year and that year’s finalists will evaluate TORCH nominations from the field and select winners. This year, the Ohio Department of Education and several state-level partners developed a School-Based Health Care Support Toolkit that offers guidance and resources to help districts bring these services to school campuses. Ohio already has inspiring, local success stories in this area. Pioneering districts like Alexander Local Schools in Athens County, Lima City Schools in Allen County, and Manchester Local Schools in Adams County have forged partnerships with local health care providers that have improved student health and led to fewer disciplinary problems, less absenteeism and higher graduation rates. Read their stories on our School-Based Health Care Support Toolkit webpage. Ohio granted $33 million of a $35 million federal Striving Readers Comprehensive Literacy Grant to 46 school districts or partnerships of districts to drive literacy improvement for children from birth through grade 12. The three-year grants to these ambitious districts will help them improve learning prospects for their students living in poverty, students with disabilities, English learners and students with reading disabilities. The Department also worked with a devoted group of literary educators and specialists from around the state to publish Ohio’s Plan to Raise Literary Achievement. The plan sets forth the ongoing work Ohio will do to improve language and literacy development in our children. Launched in 2017, Ohio’s SuccessBound initiative strives to bring schools, businesses, students, families and communities together to adopt practices that move students seamlessly from school to postsecondary education or training and jobs. In 2018, the Department developed and posted toolkits for each of these partners to help them take active steps to become SuccessBound. Ohio also initiated the OhioMeansJobs Readiness Seal, a designation high school students can earn on their transcripts by demonstrating they have the personal strengths, strong work ethic and professional experience businesses need. The OhioMeansJobs Readiness Seal gives a student the district’s endorsement that the student is ready to pursue work experiences. Educators don’t need Ph.D.s in statistics to learn about data-driven evidence of successful teaching practices and bring about powerful change for their students. Ohio’s Evidence- based Clearinghouse, launched this year, can help districts and schools identify critical student learning needs; research and select evidence-based strategies; examine, reflect on and adjust those strategies; and support efforts to improve student success. The powerful source for evidence-based teaching practices brings together resources from many clearinghouses and will continually change to meet the evolving needs of Ohio educators. Every evidence-based strategy in the clearinghouse meets one of three levels of the Every Student Succeeds Act’s criteria for evidence-based instructional practices. Users can find strategies aligned with the focus areas of the Ohio Improvement Process, which include curriculum, instruction and assessment, school climate, and supports. All Ohio students can benefit from a high-quality arts education to help them develop important skills needed to succeed in today’s competitive workforce. Ohio’s public education laws call for one credit hour of instruction in fine arts — music, visual arts, dance or drama — as part of the prescribed curriculum. Because we know the arts are so important to our children’s development, the Ohio Alliance for Arts Education, Ohio Arts Council and Ohio Department of Education felt parents, educators, school administrators, and local and state policymakers need to know what arts education Ohio’s individual schools and districts are offering. Users can see the number and percentage of students enrolled in each type of fine arts education in Ohio schools and the number of students who have no access to arts education. The dashboard is searchable by county, school district, school type and location. Ohio is proud to be one of the first few states in the nation to provide an online arts education data system available to the public. If Ohio’s schools are to be sensitive to the cultural and circumstantial needs of all their students, a focus of Ohio’s Strategic Plan for Education’s “whole-child” approach, we can’t ignore our 34,000 Ohio students from military families. To recognize schools that are doing an exemplary job of serving students and families connected to our nation’s armed forces and inspire more schools to follow their examples, the Ohio departments of Education, Higher Education, Veterans Services and Adjutant General, created the Purple Star Award. Purple Star schools must meet specific criteria to demonstrate that they engage in practices that support students of military families. These schools receive a special Purple Star logo to display in their buildings. In 2018, Ohio recognized 134 new Purple Star schools. What makes me even prouder is that six other states have adopted or are planning to adopt the Purple Star Awards program verbatim. The State Board of Education recommended and the General Assembly adopted a proposal that the alternative options for graduation be extended to the class of 2018, the class of 2019, and, with modifications, the class of 2020. Based on the experience of the class of 2018, thousands of students, particularly those who are challenged to demonstrate what they know and can do using standardized tests, were able to graduate and start a new chapter in their lives. These options will have a similar impact on the classes of 2019 and 2020. Ohio, however, needs a permanent solution to this issue. In fact, during 2018, the Superintendent’s Advisory Committee for High School Graduation Requirements developed and the State Board adopted a proposal for a new graduation requirements approach. This approach gives students options to demonstrate what they know and can do through a variety of means — including both test-based options and non-test-based options. You can learn more about the proposal here. In the upcoming year, the Department will be working to support the adoption of this proposal. It may go through further revision during the process, but the fundamental objective of giving students the opportunity to demonstrate what they know and can do without relying on tests makes a lot of sense and will benefit many students. Though 2018 has been a strong year of achievement, Ohio Department of Education staff and I have more in mind for 2019. Look for another ExtraCredit blog soon that highlights what we plan to undertake this year. To help ensure accountability and quality in Ohio’s community school system, the Ohio Department of Education today released the 2017-2018 sponsor evaluations. The Academic Performance component determines how well students are performing academically at sponsors’ schools. The Compliance component rates whether sponsors are compliant with all relevant laws and rules and whether sponsors are monitoring their schools’ compliance with laws and rules. The Quality Practices component, which was created using national standards and input from sponsors, looks at sponsors’ adherence to quality practices. Ohio law includes a set of incentives for sponsors rated “exemplary,” as well as a set of consequences for sponsors rated “ineffective” and “poor.” For example, a sponsor rated “exemplary” for two consecutive years is able to take advantage of incentives, including receiving a longer term on its contractwith the Department. 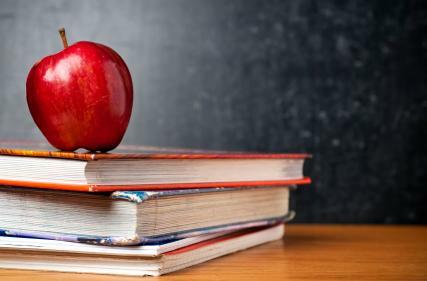 Any sponsor that receives an “ineffective” overall rating is prohibited from sponsoring any new or additional community schools, and the sponsor is subject to a quality improvement plan. Any sponsor that receives a “poor” rating or three consecutive “ineffective” ratings is subject to revocation of its sponsorship authority. An appeals process is available to sponsors that are subject to revocation of their sponsorship authority. The 2017-2018 community school sponsor evaluations can be found online by clicking here. This is a draft document for discussion purposes and is not intended to reflect final action of the committee, State Board of Education or Ohio Department of Education. In May 2018, the state superintendent convened the Graduation Requirements Advisory Committee to discuss graduation requirements for the classes of 2021 and beyond. Thecommittee consisted of 25 members who occupy roles as school district superintendents, high school principals or school counselors, career and technical center directors, state board of education members and elected representatives. The committee also included parent and higher education representatives. The committee met a total of seven times from May to the end of September 2018. The charge to the committee was to generate recommendations to the state superintendent of public instruction that create a long-term approach to high school graduation requirements for Ohio. The work of this committee builds on the work of a prior Ohio Graduation Requirements Workgroup, convened in 2017, which generated recommendations that responded to concerns specific to the graduating class of 2018. The 2017 recommendations recognized the need for a long-run approach to graduation that would be less reliant on standardized assessments. The current Graduation Requirements Advisory Committee was convened specifically to develop the “long–run” approach. • Engaged in a meaningful, self-sustaining vocation. STRATEGY 10: Ensure high school inspires students to identify paths to future success, and give students multiple ways to demonstrate the knowledge, skills and dispositions necessary for high school graduation and beyond. The discussions of the committee also included a review of the strategic plan’s Attributes of a Graduate and how the recommendations should align to the attributes. In this way, the committee’s work attempts to capture the four equal learning domains—foundational knowledge and skills, well-rounded content, leadership and reasoning, and social-emotional learning — identified in the strategic plan. The committee created a list of principles to guide its graduation requirement recommendations. These principles are listed below. 1. Recognize the individual needs, differences and interests of every student. 2. Be neutral to a student’s circumstances (school, district, part of the state, socio-economic circumstances, race/ethnicity, etc.). 3. Recognize that every student can be successful when provided opportunities to gain knowledge, skills and competencies. 4. Reflect a balance of academic content knowledge and other skills known to be important, based on challenging expectations for learning and content and skills mastery necessary for future success. 5. Accommodate multiple methods of demonstrating the acquisition of knowledge and skills by students and accept that the mix of knowledge, skills and abilities necessary todemonstrate post-high school readiness may be unique for each student (as aligned to a student’s passion and aspirations). 6. Allow a student to take an active role in developing the plan for graduation and carrying it out. 7. Motivate students to be thoughtful about their post-high school plans throughout all high school years. 8. Be, to the extent possible, easily explained and easy to administer. 9. Be, to the extent possible, fairly and consistently measured across the state. As the committee discussed how graduation requirements may change, members struggled with some of the tensions inherent in creating graduation requirements policy. A significant amount of time has been spent on the discussion of these tensions, though the balance of these tensions has not yet been determined. The committee acknowledges that, like so many policies in education, there is a desire for consistency throughout the system — namely, that a diploma reflect a common accomplishment. Such standardization supports ease of implementation and understanding. At the same time, the committee recognizes the future success of each child can be highly variable — success can be achieved in many different ways relying on very different combinations of skills and abilities —and a graduation system that acknowledges those variations will have many different manifestations. As human beings, we often crave simplicity. Ideally, a graduation requirements system should be easy to explain and easy to implement. We recognize, and are willing to tolerate, some degree of complexity in the interest of greater customization and flexibility. Sometimes in conversations, we hear a tension between academic content knowledge and non-academic skills acquisition. In our minds, and consistent with the strategic plan, the graduation requirements system needs to require both, and students need to acquire a mix of skills that best ensure future success. The committee had numerous discussions about when a student might best identify a particular path to graduation. Clearly, conversations about potential careers and future aspirations can start in middle school or earlier. Specific conversations about a student’s chosen path could begin in the sixth grade, as state policy requires that students begin their postsecondary exploration and planning at this time. However, allowing students to gain greater exposure to academic and career activities during high school before determining their paths also provides additional opportunities for personal growth and exploration. While Ohio is a local control state, there are times when establishing norms at a state level are important. Many education policy issues often hinge on whether the state should establish requirements and parameters or whether the local district should have authority. Establishing graduation requirements is one area where public policy should seek a balanced approach that includes some level of state direction while also allowing some local flexibility. Over the course of the meetings, the committee has come to agree on a few key themes. These themes have appeared in conversations again and again and are identified below. The committee supports the concept of multiple equivalent pathways. The committee is cognizant that no pathway should be viewed as “easier” or as a “lesser” path — the paths should be viewed as equally rigorous and prepare, but not limit, students for the paths they choose. Our goal is to ensure any student successfully completing any path is equipped for future success. The committee is excited by the idea that graduation requirements should allow students opportunities to explore and expand on individual interests and passions and not restrict them —or not simply march a student along a predetermined sequence of classes and events. Members of the committee want every student to be excited, engaged and motivated by the prospect of beginning to chart their future courses in life. Students should have a voice and, in some respects, have responsibility to manage their own pathways to graduation. 4. Strengthening the High School Experience. The committee’s discussions made it clear Ohio should continue to engage in discussions and actions about redesigning the high school experience. The first two years should be an opportunity for career and academic discovery and broad learning. The second two years should be an opportunity to allow for greater focus and the identification of interests, passions and aspirations. Students should be able to explore multiple career options and gain a better understanding of the world of work. Districts should be empowered to explore innovative and flexible approaches to the high school experience and provide integrated learning experiences for students. The committee recommends the state adopt the graduation requirements framework described in the attached document, A Proposed Approach for High School Graduation Requirements in Ohio. The committee developed this proposal as an approach to graduation that includes multiple methods for students to use to demonstrate what they know and can do — including both test and non-test options. Successful implementation of this “show what you know” approach will take time but, in the end, stands to provide a more robust, engaging and motivating approach to graduation than can be achieved through the current system. The committee strongly recommends this plan first apply to an incoming class of freshman at such time as all the various components and rubrics are completed, and sufficient professional development has been made available. The committee recognizes implementation of the proposed approach will take time andrequire districts and schools to make significant changes to their current systems. Implementation will require the state to design and prototype a variety of tools and resources, which should not be done hastily. Consequently, the committee supports the continuation of alternative graduation requirements similar to those adopted for the class of 2018. The committee respects that there may be a desire to modify some of the components of the alternatives for the class of 2018 viewed as not sufficiently rigorous. The committee is supportive of modest modifications that still allow flexibility for students. Ideally, the transition period should extend until a new class of students entering high school is given clarity about the specifics of the requirements under the proposedapproach. The committee recognizes there is still much work to be done. Schools and districts will need to be supported as they transition to a new way of graduating students. The Ohio Department of Education will need to provide technical and professional development support, as well as other resources. Specific guidance will need to address mobile students, transfer students and students seeking to earn diplomas past the time of their expected graduation dates. We are committed to working together to address these issues. We also must recognize the education community must hold itself accountable to ensuring the approaches recommended in this document are implemented with great care and a commitment to ensuring the highest standards of integrity and rigor. As always, diligent attention to professional development and quality implementation will be essential. Ohio’s education community is committed to the work necessary to make the recommendations in this report highly regarded, meaningful and reliable representations that students are ready for future success. This document was created for discussion purposes only. Nothing in this document should be construed as reflecting the opinion or perspective of the Graduation Requirements Workgroup, the Ohio Department of Education or the State Board of Education until further action is taken. A student’s high school years are an important time for learning and transition. It’s a time to think seriously about the future — to deeply consider interests, passions, career goals and more. High school is the culmination of a period of knowledge acquisition and skills development leading to the next chapter in a student’s life. What a student knows and can do at the end of high school will have a tremendous impact on his or her future success. Currently, in Ohio, there are three ways to earn a high school diploma. Each requires students to perform at a certain level on one or more tests. It’s not a bad approach. In fact, many students graduate by meeting the current requirements. But, there are some students who have gained meaningful knowledge and skills and the required tests aren’t the best way to show it. This proposal is designed to reframe Ohio’s graduation requirements to better allow students to show what they know and are able to do in multiple ways. It reflects Ohio’s Strategic Plan for Education, Each Child, Our Future. As shown in the graphic below, it’s built around five areas. The first three — English, math and technology — are essential because they enable all other learning. Well-rounded content represents learning ranging from science and history to art, music and technical areas. Finally, leadership/reasoning and social–emotional skills represent competencies that relate to applying andsynthesizing knowledge, critical thinking and succeeding in settings that involve interacting with other people, like on a college campus or in an office or workplace. • Tests – Including end-of-course exams, Advanced Placement and International Baccalaureate exams, WorkKeys tests, WebXams(in certain cases), ACCUPLACER and others. • Class grades – Including the GPA for high school courses in a subject area or the grade received in a College Credit Plus course. • Demonstrations of Learning – Challenging activities designed to allow students to show their knowledge in English or math or other demonstrations of well-rounded content knowledge, like earning an industry credential, completing a career-technical education program and associated WebXams, or designing and completing a Culminating Student Experience (similar to a capstone project). In the last area – leadership/reasoning and social-emotional learning, students will have many options to show what they can do. Districts will have the responsibility to establish expectations for student demonstrations of these skills through different approaches ranging from the use of tools like the OhioMeansJobs Readiness Seal to community service or other accomplishments. The Culminating Student Experience concept is fundamental to this new approach. The experience is intended to be a significant project or set of projects aligned to a student’s interests, passions and aspirations — similar to a capstone project. It is meant to be an opportunity for a student to integrate learning —academic as well as leadership/reasoning and social-emotional — and demonstrate knowledge in multiple ways without the need to rely on test scores. The experience can include (as needed) specific and rigorous demonstrations of knowledge and skills in three areas — writing, quantitative reasoning or mathematics, and presentation. Each of these would be scored against a rubric by qualified adult. It’s important to understand that the various options available to students included in this proposed approach are each intended to be challenging and generally reflect a sufficient level of competency to contribute to a student’s success. It’s also important to understand that every student still needs to meet the state and district course completion requirements and take the necessary high school end-of-course tests (to support, at a minimum, school and district accountability purposes). Students, parents and educators also should recognize that leaving high school without the knowledge and skills necessary to be successful doesn’t help anyone. It doesn’t make sense for a student to drop out or want a high school diploma that doesn’t reflect a level of accomplishment that actually translates into future success. Students should recognize it is better to take more time to be ready than to rush into the future unprepared. Students also should expect the teachers, administrators and other caring adults in their lives will do whatever is necessary to support them in acquiring the knowledge and skills needed to succeed — even if it takes more time. To “show what you know,” as reflected in this proposal, represents a better, fairer, meaningful, more equitable and more motivational approach for students to demonstrate they are ready for future success and worthy of receiving a diploma. It will allow more students to thoughtfully consider their future success and reach levels of accomplishment that will support their goals. More details about this proposal are available in the detailed description below…. This document describes a proposal for a personalized student approach to graduation that would allow multiple ways for each student to demonstrate knowledge and skills sufficient to earn ahigh school diploma. It relies on the use of multiple methods to measure a student’s knowledge and skills and providesvarious opportunities for students to demonstrate readiness for post-high school success. This “show what you know” approach is expected to be a better, fairer, meaningful, more equitable and more motivational experience for students to demonstrate their readiness for future success and worthiness to receive a diploma. This approach would require students to demonstratecompetency in English, math and technology knowledge and skills through various options, including traditional tests, classes, grades, experiences, existing high school programmingand other demonstrations of learning. Students also would have the opportunity to demonstrate competency in well-rounded content through a Culminating Student Experience, which would allow a student to focus on particular passions and aspirations and make connections among ideas and concepts.The plan also promotes a student’s cultivation and demonstration of leadership and reasoning skills including, but not limited to, those on the OhioMeansJobs Readiness Seal and social-emotional learning skills. An important aspect of this student planning process is the deliberate nature of thinking ahead and identifying a set of activities and experiences that allow a student to demonstrate what he or she knows and is able to do with sufficient time and opportunity to accomplish it. Conceptually, a student could begin work on a graduation plan as early as ninth grade. The plan would be refined and honed in 10th grade and perhaps again in 11th grade. A plan could be completed as early as 11th grade but more likely will be completed during the student’s senior year. The proposed plan reflects the four learning domains of Ohio’s Strategic Plan for Education, Each Child, Our Future. The objective of the proposed approach is for each student to demonstrate satisfactory accomplishment in all domains through one or more measures of success. The foundational knowledgedomain is separated into English and math. Also, for simplicity, the leadership and reasoning and social-emotional learningdomains are combined because the competencies for both domains are foundational in the required activities. The grids below show a variety of options for students to demonstrate knowledge and skills in each of the domains. In some areas, the requirements allow students and schools to identify other demonstrations of learning that, in the judgement of the school or district, show the student demonstrates the satisfactory acquisition of knowledge and skills to ensure future success. This proposal also reflects an approach to demonstrating knowledge and skills that may be particularly suitable for students who appreciate an opportunity to take more time than afforded during a testing session to demonstrate their knowledge and skills. This proposed planning process would be a diploma-earning strategy for any student, including gifted students, students with disabilities and English learners. This proposed approach requires no specific accumulation of points on state tests (unless selected as options for the various domains). For some students, it will make sense to meet the requirements primarily through tests. For others, it will make sense to meet the requirements primarily through non-test demonstrations. Still, others will use a mix of tests and non-test demonstrations. • Items marked with * generally reflect Ohio’s current test-based graduation path. • Items marked with + generally reflect Ohio’s current industry credential path. • Items marked with ^ reflect an example of a non-test reliant path. The two grids below present options for demonstrating English and math skills. Students would need to meet at least one of the items listed in each grid. The scores established below are for illustrative purposes. Under this proposal, the State Board of Education would be responsible for establishing the required scores for graduation purposes. How will you show you have skills in reading and writing? College Credit Plus: Pass English Comp or equivalent College Credit Plus course with grade of C or better. GPA: Average 2.5 GPA or better for at least two full years of high school English courses. • College Placement Tests: This would include ACCUPLACERand other commonly used placement tests as determined by the Ohio Department of Higher Education. Scoreremediation-free on writing AND reading. How will you show you have skills in Math? College Credit Plus: Pass college Algebra or similar course from a list of approved non-remedial college courses with a grade of C or better. GPA: Average 2.5 GPA or better for at least two full years of high school math classes. • College Placement Tests: This would include ACCUPLACER, ALEKS and other commonly used placement tests as determined by the Ohio Department of Higher Education. Score remediation-free on math. Online Math Course: Successful completion of a state online math course (suggested). Demonstrated Competency: The student successfully used technology — including, but not limited to, software products such as Word, PowerPoint, Excel, presentation software, media development or modification software — in some way as part of the high school experience. The well-rounded content requirement is designed to ensure each student has been exposed to and gained knowledge in a variety of content and skill areas. Clearly, the course requirements for high school graduation already are a significant contributor to the well-rounded content requirement. Additionally, students who participate in career-technical education programs gain knowledge and skills that contribute toa well-rounded content experience. This proposal reflects theidea that it is important for students to demonstrate successful performance in at least two areas beyond English and mathematics. (These areas do not need to be science or social studies.) The scores established below are for illustrative purposes. Under this proposal, the State Board of Education would be responsible for establishing the required scores for graduation purposes in consultation with experts and with appropriate oversight. Additional tests that may be identifiedmay also be added as appropriate. • 6 points combined on the Science, American History and American Government end-of-course tests* (counts as two). GPA: Average 2.5 or better for any subject computed across all classes (must include at least four semesters) in that subject (for example, science, social studies, art, foreign language, technology). Seal of Biliteracy: Complete the requirements for receiving the seal of biliteracy. • International Baccalaureate (IB): Comparable score in other subject areas. • WebXams Series: Proficient or better on a complete set of career-tech program WebXams (counts as one). Portfolio: A portfolio of work in an area of concentration consistent with the requirements of the portfolio for Ohio’s honors diplomas. How will you show you have acquired leadership/ reasoning skills and social-emotional learning skills? OhioMeansJobs Readiness Seal: Completion of the requirements to earn the seal. Extracurricular Service: Students complete at least 125 hours of extracurricular activity participation each year enrolled. The Culminating Student Experience would be a project or set of activities and experiences identified and completed by a student (and verified by an appropriate adult) that would allow the student to demonstrate a collection of knowledge and skills that affirm a student’s readiness for post-high school success. The experience could include in-school and out-of-school activities. (The work done as part of the student experience would be conducted as a separate course for which the student earns credit. However, student work in other courses — for instance, junior or senior English, Algebra II, etc. — may support various components of the experience and accompanying demonstrations, as needed.) The experience may be embedded into existing school programming and may allow students to earn credit through other arrangements, such as a district’s credit flexibility policy, integrated coursework, Advanced Placement or International Baccalaureate coursework, or College Credit Plus. The Culminating Student Experience would be identified and defined in such a way as to support the Demonstrations of Knowledge and Skills (see section 2 below) if these are selected as preferred demonstration approaches by the student and advisor/counselor. This means the experience should include activities during which the student writes for the writing demonstration, shows mathematical competency or conducts some data analysis for the mathematical competency/data analysis demonstration, and for which apresentation can be made. The experience also should be designed to allow the student to demonstrate leadership/reasoning skills including, but not limited to, those on the OhioMeansJobs Readiness Seal and social-emotional learning skills. • Major research or portfolio project, including, but not limited to, a portfolio of artworks created, writing samples, computer applications developed, videos produced, robotics projects and agricultural accomplishments. • Major community service project/experiencedesigned by the student working with an advisor (including Eagle Scout project, Girl Scout Gold Award project, FFA state degree, science fair project or other major project experiences that include leadership roles of significance in career-tech student organizations or other student organizations). “Community” can include the school itself. • Major and significant work-based learning experience/internship/apprenticeship with evidence of a student making a meaningful contribution and positive evaluations (250 hours or more). • College credit plus courses or other formal learning experiences (including Early College programs) that result in the student obtaining an associate degree or the completion of a substantial number (at least 15 semester hours) of college credit among courses that focus on a particular area or field. • Completion of a career-technical program, which must include at least four courses in a single career pathway and passing the respective WebExams for those courses. • Set of activities leading to the accomplishment of an in-demand credential or certification or group of credentials or certifications of at least 12 points. • Completion of the OhioMeansJobs Readiness Seal and creation and maintenance of an OhioMeansJobsBackpack. • Completion of a social-emotional skills reflection exercise (*new idea; to be developed). • For students interested in military service, taking the ASVAB examination. • Developing a resume and/or completing a job application. • Journaling of a student’s reflections on the experience. • Interviews or job shadowing of individuals who work in the field of interest to the student. For example, a student interested in a career in business could interview business people. Students, advisors and counselors should not feel limited by the above list and should exercise creativity and personalization to identify the set of activities and experiences aligned to the particular student’s aspirations, interests and future plans. The experiences selected should challenge the student and facilitate continuing learning. a. Mathematical competency/data analysis demonstration(if needed to satisfy math requirement). Created from the Culminating Student Experience, the student should demonstrate the ability to identify and analyze data or otherwise demonstrate fundamental mathematical concepts and skills related to the experience. The student should be able to describe the relationship between the math competencies demonstrated and the culminating experience or draw conclusions from the data analysis. (This can be incorporated into the writing component discussed below.) Students may use this demonstration to also demonstrate technology competency by using Microsoft Excel or other computational or statistical software. b. Writing demonstration (if needed to satisfy English requirement): Students must complete an extended paper that integrates key information about the anchor experience, key learnings and reflections on the student’s future post-high school plans. The writing component also should include a student’s self-reflection on interests, career readiness skills, leadership/reasoning skills, classes (including grades), strengths, weaknesses, career aspirations and requirements necessary to succeed in the identified career field. The writing assignment can be supplemented with various written artifacts. Such artifacts could include, but are not limited to, project/activity logs, journals, a completed job application or a resume. It can demonstrate technology competence if prepared using word processing softwareand includes images, tables and graphs. c. Presentation demonstration (required for all culminating experiences). Create and present to a review panel a summary of the culminating student experience, lessons learned and implications for post-high school actions. Students also should be able to respond to questions by the panel. To demonstrate technology skills, the presentation could be enabled using PowerPoint, Prezi, a student-produced video or other technology-based feature. Student and Mentor Pledge. For any of the demonstrations listed above, the student and faculty mentors (teacher, counselor, supervisor, etc.) should affirmatively attest all work involved in the student experience was the student’s and the final product satisfactorily met all requirements and will be available for review by employers or postsecondary experience providers. Note: Students pursuing the custom graduation plan process stillare responsible for taking required courses and, for school and district accountability purposes, end-of-course exams. Schools and districts, at their discretion, may require students who score below proficient on any tests to participate in interventions and retake tests. Also, schools and districts are responsible for providing all students grades 6–12 with career counseling experiences consistent with district–adopted policies, including activities related to student success planning and other activities consistent with Ohio’s Career Connections K-12 Framework. • Rubrics: Rubrics for the various demonstrations will need to be created to ensure student work is satisfactory and meets the particular standard being demonstrated. • Training: Appropriate training would need to be providedaround use of rubrics. • Quality Assurance: Mechanisms would need to be established to support quality assurance of the process. • Staffing: A school district would need to be attentive to identifying staff support for student plans. While the expectation is that students would have ownership of his or her own plan, a counselor or a teacher advisor (or a combination of both) would be needed to support the student’s plan design. The writing demonstrations could be supported by teachers in the English courses students are taking. The math or data analysis demonstrations could be supported by teachers in math courses. It also may be appropriate to utilize advisors who are external to school staff. • Advising: As with current Ohio requirements, it is not always easy to know how best to advise students who may not be on track regarding any of the proposed options in each category. For example, if a student is not meeting the end-of-course requirement in a category, is it better to support additional intervention and retakes or to shift focus to the GPA or demonstration approaches? Schools and districts ultimately will improve in advising students, but it will take some time to understand what makes the most sense. A lot of good folks worked many hours to get enough citizen signatures and to get this on the May Primary Ballot! Now we all need to do our research about issues and candidates and then…….. GO VOTE!